During tough economic times customer loyalty can get rocky. Companies need to retain these customers by providing superb customer service and taking care of frustrated customers. Strong customer service is an important part in providing positive customer feedback as well as higher customer retention. Accurate knowledge and prompt service is imperative in customer service. Employees need to know all aspects of what they are dealing with and what can be done to correct customer problems. Prompt service will reassure your customers that you take their questions, or request seriously and are working to help them. Companies that provide prompt and effective resolutions will stand out in their industries and more customers will be turning to these companies. When employees are dealing with customers, listening is a significant aspect, allow them to fully convey the issue at hand. Then how well they solve this issue will be the determining factor of great customer service. Offering discounts or complimentary services is a great way to make your customers feel confident about the product while working to solve the larger issue in question. According to MSN Money, good customer service starts at the top. Chief Executives who take the initiative to provide customers with an unparalleled customer experience will come out on top. Extra capital should always be spent on customer service and this a lot of the time is a more efficient way of building a customer base. MSN Money also said companies with the best customer service are the companies where the employees love their job. Employees who don’t like their jobs are not going to provide customers with a great customer experience when they experience a problem. marketplace. 60% of consumers said they will often pay more for a better experience. So even in tough economic times customers are still willing to pay a higher premium for a great customer service experience. Happy customers who get their issues resolved tell approximately 4-6 people about their experience. On the other side dissatisfied customer will tell 9-15 people about their experience. 91% of unhappy customers are not willing to do business with your organization after a bad experience. For every customer that complains about a companies customer service there are 26 other customers who have kept quiet about their bad experience. Also the cost of acquiring a new customers is a lot higher than keeping an existing customer. Attracting a new customer costs 5 times as much as keeping an existing one according to recent surveys. 80% of firms would like to use customer service as a form of differentiation. These factors are the biggest factors that companies are looking for when they start investing more in customer service. 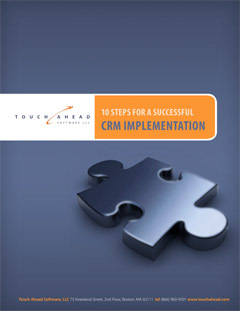 This entry was posted in Blog, News and tagged advantages, CRM Best Practices, improve your business. Bookmark the permalink. ← CRM: What is it? How does it work? Do I need to have it?